Car Rental Bristol Airport Review that's located below will provide you with helpful material about car rental fuel policy, car rental companies, types of cars and the best car rental prices at Bristol Airport. Bristol is a city that always keeps us interested. 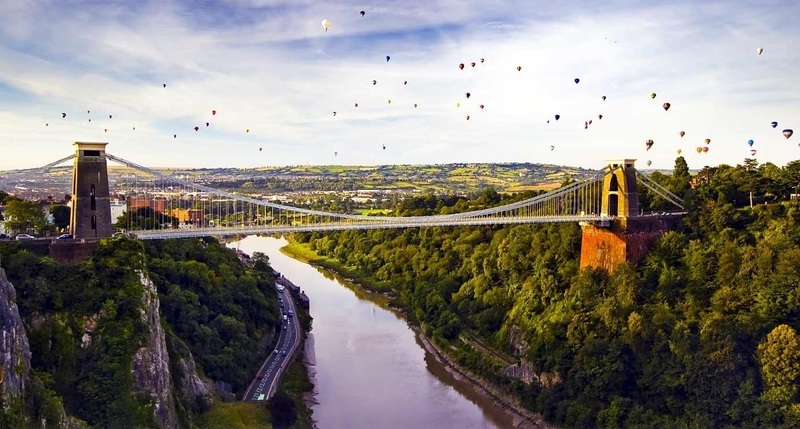 One can enjoy stepping onto the iconic Clifton Suspension Bridge, diving into the wildlife in the world’s fifth oldest zoo, revealing the secrets of the Britain’s most acclaimed historic ship, appreciating the most ambitious permanent street art project made by the street artists all over the world. 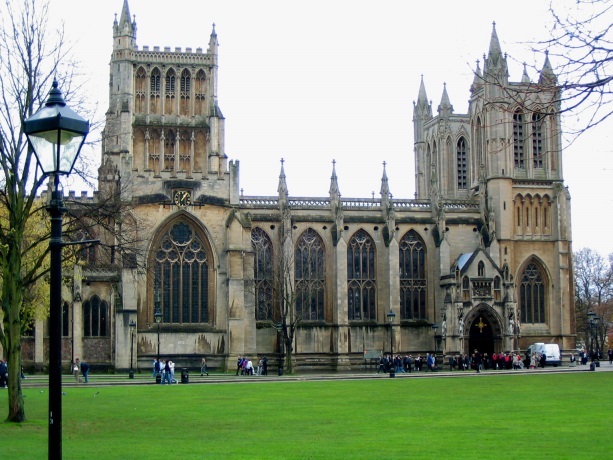 Bristol has a lot to offer for any kind of entertainment and leisure. It was founded in 1957 and was known as Bristol (Lulsgate) Airport, then Bristol International Airport. How can I get to Bristol Airport? 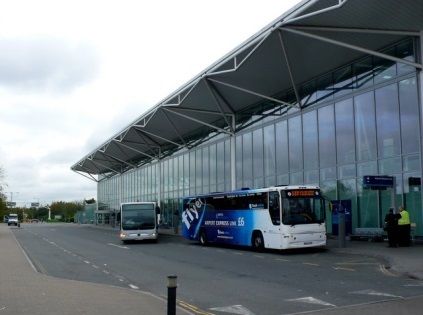 Bristol Airport is located on the A38, 13km/8mi southwest of Bristol city center. From North M5. At junction 18, follow the A4 to the A38 towards Taunton, Bristol Airport is situated 8 miles south of Bristol on the A38. From South M5. At Junction 22, go to the roundabout, then take 3rd exit (sign A38). At East Brent roundabout take 2nd exit. Follow this road for about 11 miles. From East M4. At Junction 20, take the M5 southbound, and then take junction 18. Go to the A4 towards Bristol and connect with the A38 towards Taunton, the Airport is situated 8 miles south of Bristol on the A38. 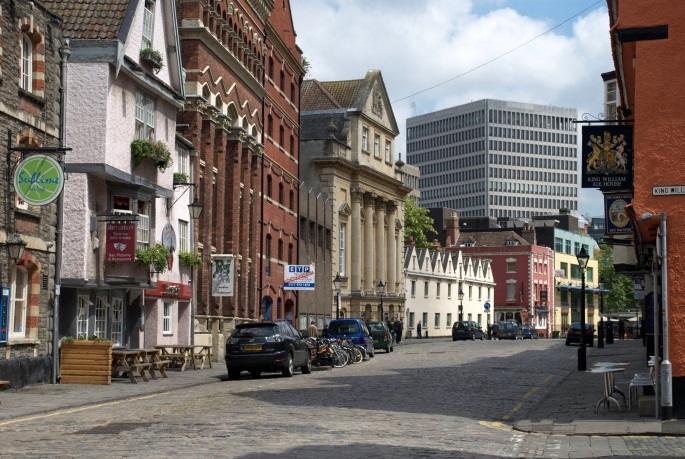 What is better: Taxi or Car Rental in Bristol? If you want to take a cab, there are a few companies at your disposal. Checker Cars Company Tel: +44 (0)1275 475000. Union Jack Taxi Tel: 0117 3252 500. The price is varying between 38$-42$. Mini cars are provided by Budget, AVIS, Europcar, Alamo, Enterprise, Greenmotion. Economy cars are provided by Budget, GreenMotion, EuropCar, AVIS, Alamo, Enterprise. Compact cars are provided by GreenMotion, Interrent, AVIS, Budget, Alamo, Europcar and Enterprise. Standard/intermediate cars are provided by Alamo, Enterprise, Europcar, Budget, AVIS, GreenMotion. Vans/minivans are provided by Alamo, Budget, AVIS, Enterprise, Europcar, GreenMotion. Available models: Citroen C4 Picasso 7 Seater 91.48$, Opel Zafira 5+2 Seater 99.61$, Renault Scenic 5+2 Seater 130.27$, Peugeot 5008 7 Seater 184$, Volkswagen Sharan 7 Seater 192$, Ford Galaxy 7 Seater 212.24$, Mercedes Viano 8 Seater 352$. Fullsize cars are provided by Alamo and Europcar. SUV cars are provided by Enterprise, GreenMotion and Europcar. Luxury/premium cars are provided by Enterprise, Alamo, Budget, AVIS, Europcar. Available models: Mercedes E Class 224$, Volvo XC90 282$, Mercedes E280 CDI 417.50$, Audi TT Coupe 443$, Mercedes SLK 350 458.63$, Mercedes S320 CDI Saloon 609.57$. Pick up quarter full, return quarter full- you pick up the car with quarter full tank and you have to return it with the same level of gas. Any difference will be of extra charge. This location is serviced by Alamo and Europcar. The prices are little higher, starting from 41$ for mini, 42$ for economy, 50$ for compact, 61$ for standard/intermediate, 153$ for van/minivan, 155$ for luxury, 215$ for fullsize and 261$ for SUV cars. This location is serviced by Alamo, AVIS and Europcar. The prices are the same as at the Montpelier Railway. Available types are: mini, economy, compact, standard/intermediate, premium/luxury, SUV, van/minivan. Rentalcars24h.com wishes you a great vacation and a nice trip! RentalCars24h.com offers you reliable car rental Bristol - Airport services that will help you to feel free and independent when moving around the town. Providing best online prices for car hire Bristol - Airport services, RentalCars24h.com allows you to save money each time when you rent a car in Bristol - Airport.